Looking for a flat two-acre property that has easy freeway access, near a metro line and close to town? How about a 4+2 modular home (1985) permitted with 433A on a permanent foundation, that sits nicely set back from the street, is double-fenced and gated,on a mostly paved road? The home is 1536 sq.ft. with year-old laminated flooring, new floor tile in both bathrooms, with the master bedroom on one side, and the other 3 on the other side. Freshly painted inside. There?s a wood deck in front, 2 large storage sheds, AND the washer & dryer are included in the sale. Seller replacing the stove .This beautiful lot is all usable! 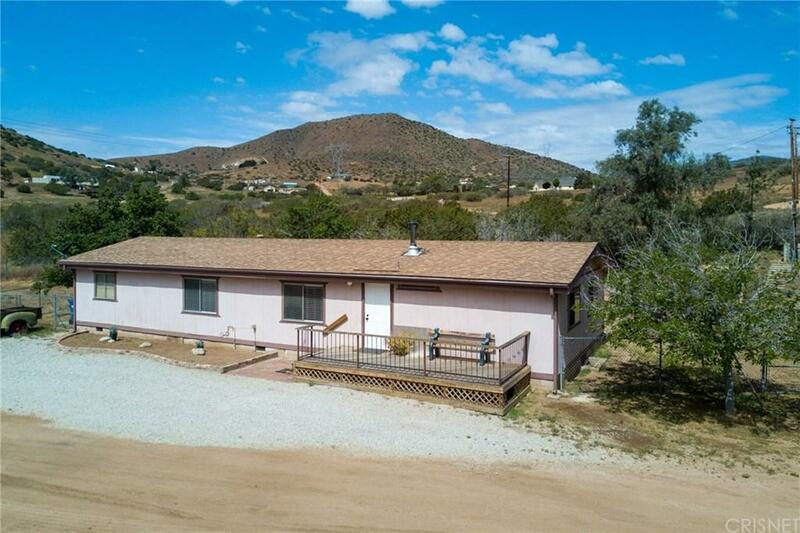 Access from both sides of the property available, from a paved road. Great for granny flat or if you have a boat, RV, work trucks, trailer etc. No goat hike of an access here, all smooth and close to the main highway.